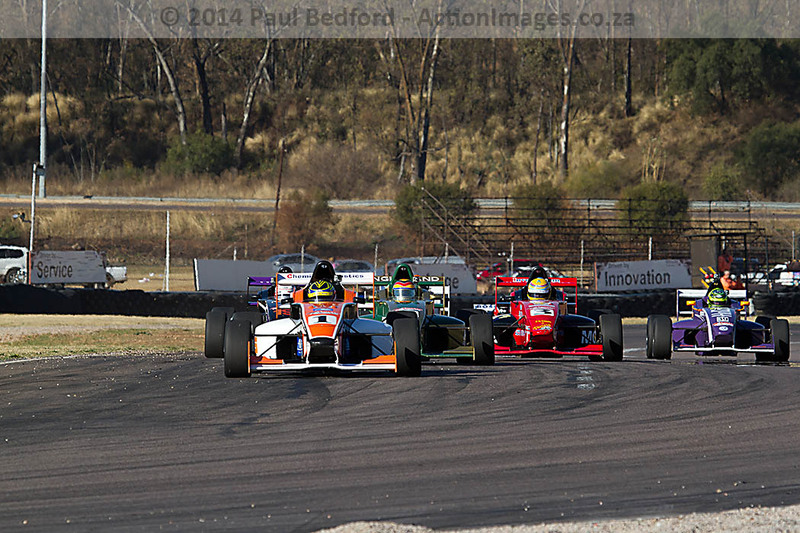 The Midas South African Single-Seaters (SASS) were out on track in the third-to-last round of the 2014 Super Series at Zwartkops Raceway on Saturday. Three categories of competition saw the Formula Volkswagen and Midas Formula 1600 A and B classes all jostling for position and points. What started as a 12 point difference between the top two Formula VW competitors ended as a four point gap – with Nicholas Van Weely (87 – Anglorand) maintaining that slender advantage over Robert Wolk (1 – Midas / Chemical Logistics / ATE). Wolk started race one at the back of the grid due to an engine change, quickly working his way through the field. At one point in that first race it seemed as though the deployment of the Safety Car (SC) would spoil his chances of making it to the front – by that stage he was in second place behind Van Weely. The SC – deployed after an incident between Werner Scholtz (3 – Motorvia / Investchem) and Jason Campos (19 – Hollard Insurance) was recalled with enough of the race left for Wolk to find the gap he needed to claim the chequered flag. Wolk put in another winning peformance in race two, making it two victories for the day and narrowing the gap to the championship leader significantly. With Van Weely second in each of the races, Mathew Merton (9 – Matsam / Investchem) claimed third in race one and Scholtz took third in race two. 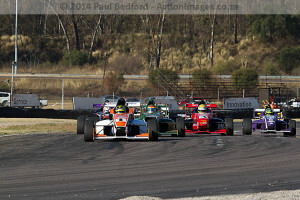 In the slower, but no less competitive F1600s, Bevan Williams (36 – Rightway Auto-Electrical) was handed a victory in race one when Keegan Campos (02 – Hollard Insurance) was penalised for an incident involving Scott Temple (3 – Investchem). Here Graham Hepburn (04 – Suburban Bodyshop) took second place with Andrew Horne (33 – Xena w Horne (33 – Xena Chemicals / Investchem) stepping up to third place. Temple recovered well in race two to claim victory, with Campos right behind him in second place. Williams claimed the third podium step for race two to finish second-place overall on the day, behind Campos, with Horne taking up third. In class B of the F1600s, Ian Schofield (09 – Investchem) was on pace finishing first in both races ahead of Rick Morris (08 – Investchem) who finished in second and Allen Meyer (15 – Investchem) in third place. This put Schofield on top for the day with Morris and Meyer filling in the remaining podium places. Single-seater race fans can look forward to the next outing of the SASS competitors at Killarney on Saturday, September 27, when they tackle the penultimate round of their 2014 championship.